As a young teacher during the early 1990’s, my first classroom felt somewhat akin to herding cats. I had hoped to guide students seamlessly from one rich learning experience to the next. As a student teacher, I had watched great models of teaching in which in which classroom routines dovetailed neatly, with the occasional gentle reminder to bring a student back on task. Related: How is Australia beating the U.S. at graduating first-generation, low-income college students? A supervisor who worked in the school saw the importance of developing young teachers; she became my saviour. This supervisor brought with her immense skill not only in classroom practice but also in helping to translate university training into practical K-6 classroom application. She invested many hours in my professional development and as the year progressed, so did my practice. Twenty-five years ago in Australia, my best measure of whether I was doing a good job came from my peers and immediate supervisors. By and large, feedback was based on opinion and encouraged improvement in specific elements of my work, sometimes at the expense of other areas. I was lucky enough to have a supervisor invested in the development of young teachers, but many new teachers like me were not. Unless someone chose to point out areas for development, most of us simply didn’t know what we didn’t know. Change has come to Australia in the form of professional teaching standards that strengthen classroom practice and give teachers a well-defined path forward in their professional development. 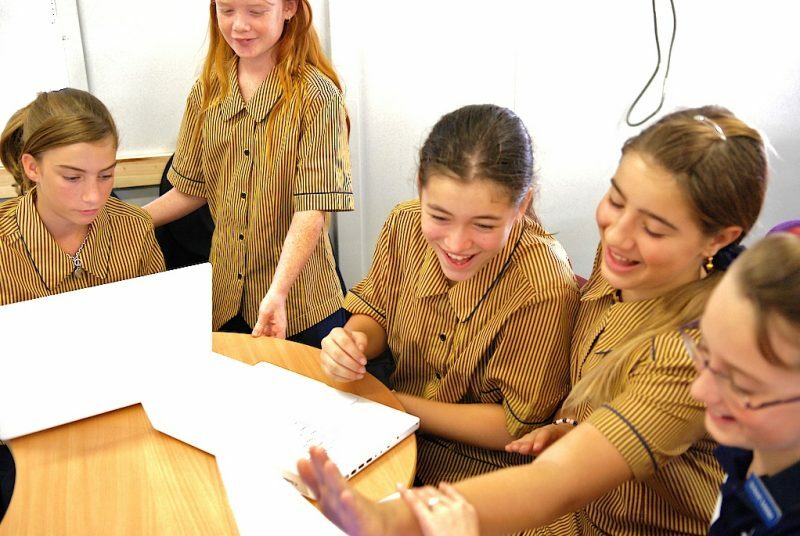 Since the 2008 Melbourne Declaration on Educational Goals for Young Australians and its subsequent reforms, public and private school teachers have been required to engage with the Australian Professional Standards for Teachers and the Australian Professional Standard for Principals, two documents that articulate a continuum of teacher development from graduate to principal. As a proud K-6 teacher of more than 25 years in the New South Wales public school system I have taught in both the pre- and post-professional standards eras. As an assistant principal, I have worked in inner city and rural settings, leading diverse teams. I believe the introduction of the teaching standards has created a significant and exciting new paradigm to our profession. Related: Can the U.S. learn from Australia’s high bar for new teachers? Maintaining the focus on teaching and learning, the Australian Professional Standard for Principals aims to provide the basis for the development of future leaders and inform focused professional development, as is seen in the New South Wales Primary Principal Association Principal Credential program. Australia’s standards mean teachers and principals can now see the road ahead. Whether reflecting on their own practice or developing those of others, teachers now have a road map for moving forward. The clarity afforded by the standards has had a strong influence. The professional standards are applied to a broad range of every day practices from the start of a teacher’s career. Teacher accreditation is aligned to the standards, and they are also used in the construction of annual performance and development plans. Furthermore, professional learning activities are referenced against the standards, as are many professional discussions in the workplace. The standards have a cohesive force that draws together the day-to-day activities of teachers in a professional framework. The standards have in many ways been empowering, supporting school leaders and teachers as they work together to establish the needs of individuals and teams. The different levels of development articulated in the standards enable differentiation of learning for teachers; an early career teacher who has recently been accredited at Proficient level will require very different opportunities than a more experienced peer performing at Highly Accomplished level. Australians have a colloquial habit of assessing things using the question, “What do you reckon?” While there is still room for variation in personal interpretation, the standards move us away from mere opinion. In its place, teachers engage in much stronger professional judgements, gaining a clear point of reference against which they can take personal responsibility and seek feedback in measuring performance. A shared understanding of what constitutes an effective teacher at each of the levels has become accessible to all educators through the standards. This enables and encourages reflective practice. Previously, a great many versions of what constituted a ‘good teacher’ were owned and guarded by teaching professionals. For aspiring leaders seeking promotion, localized agendas and school cultures had a strong impact on what was valued and subsequently rewarded. While individual school cultures remain, a much more level playing field exists for those seeking promotion through merit, using the teaching standards to justify their claims. This extends also to the Australian Professional Standard for Principals. Previously, for school leaders aspiring to the principal role, a significant leap existed, partly because much of the role was hidden from view. The principal standard brings out into the open a clearer understanding of what constitutes an effective principal. The standard informs succession planning and lights the path ahead for those who choose to follow it. The Australian Professional Standards for Teachers and the Australian Professional Standard for Principals have brought a sense of certainty to our professional identities, a tangible difference from my early teacher days some 25 years ago. They allow us to take ownership over our achievement and help us navigate our way forward in our professional lives. The standards highlight our strengths and point to how we can improve teacher quality, ultimately benefitting those at the core of our work, our students. This story was produced by The Hechinger Report, a nonprofit, independent news organization focused on inequality and innovation in education. Sign up for our newsletter. It is part of an occasional series highlighting teaching policies and practices from top-performing countries that participated in a study led by Linda Darling-Hammond and funded and supported by the National Center on Education and the Economy, called Empowered Educators. Benjamin Barker is an assistant principal at Wollongbar Public School in Wollongbar, New South Wales, Australia. As a primary school teacher for more than two decades, he has taught across all key learning areas. In his current role, Barker is focused on professional learning and teacher quality.